I saw the lovely Melissa from Loads of Lifestyle do this tag and I figured why not. I don't often do these sort of "about me" chatty posts so I thought it would be a great way to shake things up. Lisa Eldridge, hands down! Hers were the first videos I really got into when I was first learning about makeup and exploring this world. I think she is so elegant and beautiful and her makeup style is right up my alley. I love how she believes in natural, flattering makeup that complements your features. I have also really enjoyed her new book, Face Paint (book review here), and her interest in the history of makeup because I have studied that myself as an archaeology/ancient history student. A close runner up would probably be Tati because I watch her videos every single day and I would just love to have a good old chat with her as she did my makeup, probably with Puka sitting on my lap (her adorable dog for context!). 2. 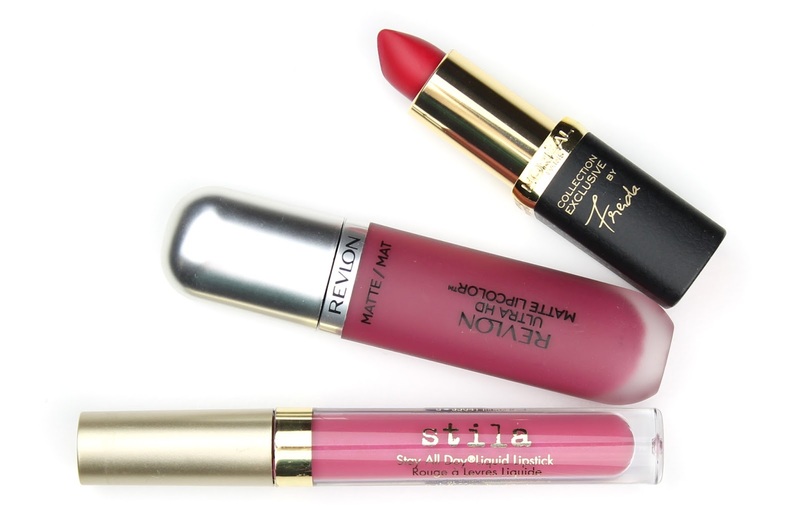 What is your top makeup tip? To blend everything! 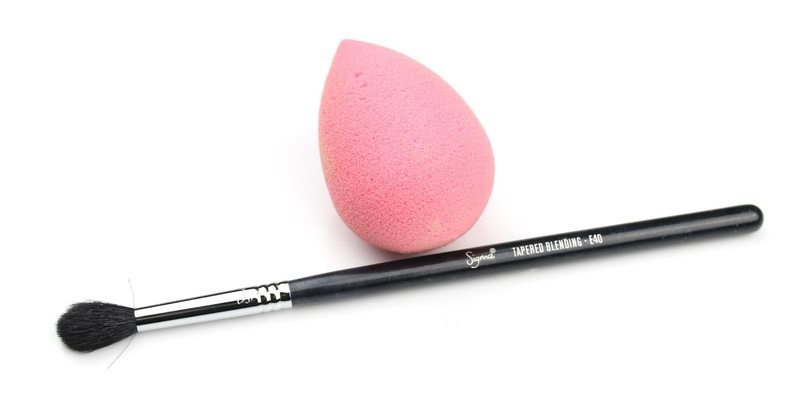 Blend your eye makeup with a big fluffy brush like the Sigma E40 ($23) and your face products with a Beauty Blender ($27). It is also important to blend each layer because if you layer up multiple products and then try to blend, it is probably not going to end well. 3. What is one makeup item you could not live without? Argh, this is so tricky! Probably my Nars Radiant Creamy Concealer ($43). I have really pale skin which also means I have chronic purple stained lids and under eyes where my skin is basically transparent. 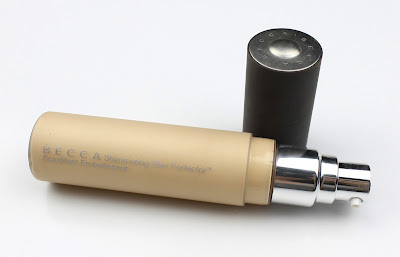 This is the only concealer I have been able to find that matches me and conceals my difficult eye area. 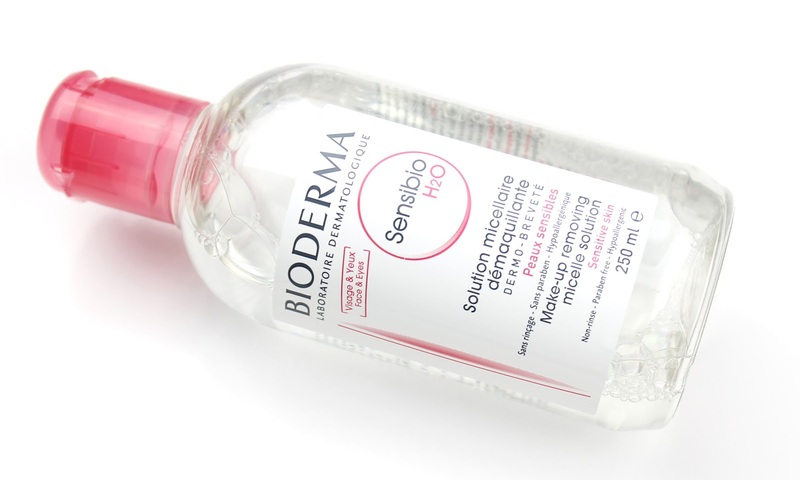 Bioderma Sensibio H2O Micellar Water! I don't even have to think about it. On the few occasions when I have run out of this and tried to use cheaper alternatives they always gave me some pretty serious eye irritation. I have been using this for over 2 years now and I can't imagine ever going without it now. 5. What are your worst at when it comes to applying makeup? Of course liquid eyeliner is a big one but I feel like everyone might say that for this question. For me, I really have trouble stepping out of my comfort zone with colour, especially with eyeshadows and lipsticks. I always put them on then chicken out and go back to my tried and true neutrals. Note to self: Use more! 6. What is your biggest pet peeve when it comes to beauty? I have found that since entering the blogger-sphere an overwhelming majority of people are incredibly kind and supportive. Unfortunately though, there are some I see every now and then who tear down other people just because they like a different makeup look to someone else and sometimes, really for no reason at all. 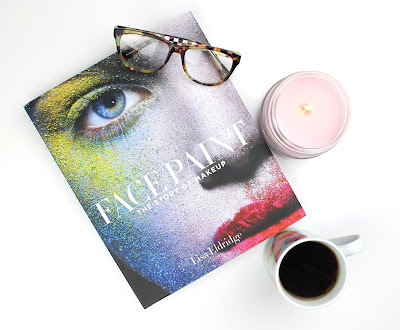 In the words of Wayne Goss, "It's just f%@*$g makeup, it washes off!" I just wish that certain negative people didn't take things so seriously and would take note of that old adage: if you don't have anything nice to say, don't say anything at all. Apparently, the haters gunna hate. Well, almost a year since the release of one of my favourite movies, The Man From Uncle, I am still obsessed with the 60s themed makeup. I just love the lashes, the shadowy cut crease and fresh skin. I know there are lots of different types of 60s makeup and some are very heavy, but I really love the Jean Shrimpton kind of look. I particularly like the more pared down, natural version of the "Shrimpton" that they did for Alicia Vikander in The Man From Uncle. 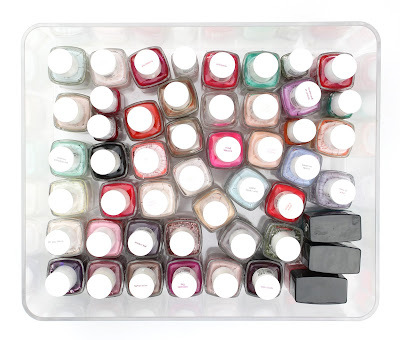 If we are talking a guilty pleasure product that I just buy way too much of it would probably have to be nail polish. If I tried to use every polish in my collection back to back just once it would probably still take more than a year. I have no idea how many I actually have and I think it is best for everyone that I don't put a definite number on my collection. Whoopsie! 9. What is your underdog product? 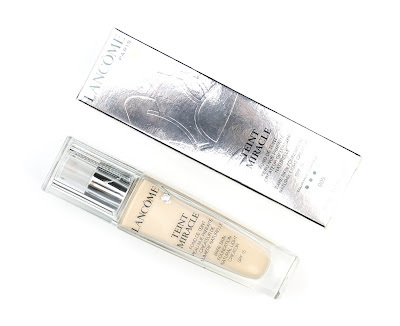 I don't know if it is an underdog product but my holy grail foundation, Teint Miracle by Lancôme, is one that doesn't really get a whole lot of attention or love online and I really don't know why. I have tried a bunch of high end foundations including many cult favourites, and this one beats them all hands down. Maybe it is just because it is perfect for my dry skin type? In any case I'm always surprised more people aren't raving about it. I did do a huge "Top 15 of 2015" post at the end of last year so asking me to choose one is asking a lot! I think though it might have to be my Becca Shimmering Skin Perfector Liquid in Moonstone because adding it to my foundation has seriously stepped up my makeup game like nothing else! It has this magical ability to make my dull, dehydrated skin look plump and healthy so that it really looks like it is glowing from within! I hope you enjoyed reading these and learning a little more about me. If you would like more of these chatty kind of posts, please let me know. I want to invite everyone who hasn't already done this to take part! If you don't have a blog, that's okay! Just do it in the comments section here or on Instagram and tag me because I would love to hear your answers. 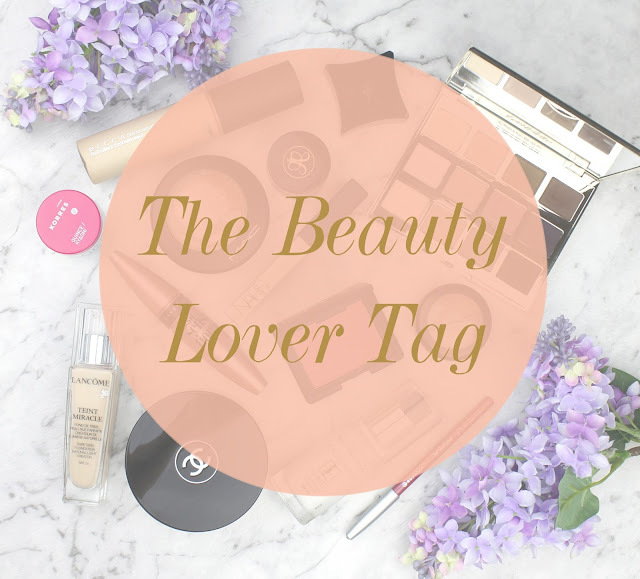 10 comments on "The Beauty Lover Tag"
It is very expensive but it is amazing. It is worth noting though that most of my love for it is because it is the only one I can find light enough for me. I would recommend trying the Maybelline Fit Me and Age Rewind concealers out first if you can find a match to see how you like cheaper alternatives. Haha well at least I pretty much always have my nails painted. Does that mean I can justify my ridiculously out of control collection?